Welcome to the 2017-2018 Clackamas Youth Basketball (CYB) Winter Classics Season!! We are very excited for some new changes this year and really appreciate all the parent, player, and coach input that has been contributed via our 2017 CYB Parent Survey and additional conversations with our community. We strive to make this program successful for the youth in our community, and your support has been amazing! If you have any questions after reading the following information, please feel free to contact us at cybhoop@gmail.com. Tryouts are scheduled for October 8 and 22. For those who cannot attend both sessions, a make-up will be available on October 18. Players need to attend 2 of the 3 sessions to be considered for a winter team. Assessment guidelines will be outlined and posted on our website in the week before tryouts. 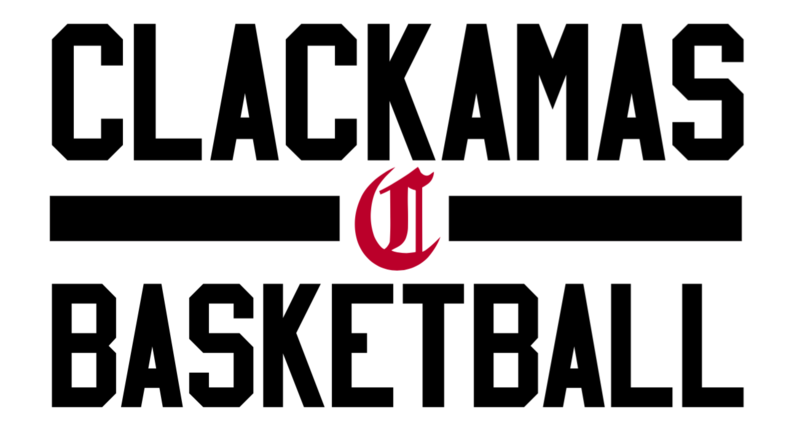 Tryouts are facilitated by Clackamas High School basketball coaches. CYB has a payment process that includes a registration deposit fee at try-outs. A $100.00 check will need to accompany your child to tryouts. Your player will not be able to tryout without this fee. If this is a financial challenge for you, please talk to a board member or email us at cybhoop@gmail.com. This check will NOT be processed until your player is assigned to a CYB team. Once assigned to a team the $100.00 will be applied to your team fees. All fees will need to be paid prior to playing in any tournament. Payment plan options are available, as well as scholarship opportunities. The scholarship application is located on our website www.clackamascavsyouthbasketball.com. If your child does not make a team, your check will be shredded. As always, we are trying to keep the costs down for families and would like to give you a flat fee right now. However, we are waiting to see how many players and teams we have in the CYB before committing to a fee. Fees will depend on a couple of factors, such as the amount of gym time we receive from the North Clackamas School District and how many total players we have in the CYB. This is a non-profit organization and we want to make sure that it operates that way. This season's costs include paid (non-parent) coaches, gym time, skills clinics, tournaments, and all administration fees. Administration fees are fixed costs for items such as insurance and bookkeeping, but will cost players less or more depending on how many teams/players the CYB will have in 2017-2018 winter season. Estimated fees will be between $400 - $450 for 3rd / 4th graders and $600 - $650 for 5th through 8th graders. We will have new shooting shirts this year that will be included in base fees. Uniforms will be the same design as last year. As such, players may be able to reuse their uniforms from last year. Players needing new uniform may purchase those for an additional cost. For the 2017-2018 girl's winter season, CYB anticipates providing a similar program as in prior years with a separate team for each grade level, from 3rd to 8th grade. Each team will have a paid non-parent coach. If there are enough players at any grade to allow the formation of two teams, a second team will be formed. If there is an insufficient number of players at any grade level, we will attempt to form blended teams with other grades as available to allow full teams to be formed. At no time do we anticipate running teams with more than 10 players or teams with less than 8 players. Projected coaches for the girl's teams by grade are provided below. Based on the numbers of players in prior years, we anticipate the 3rd and 4thgrade girl's teams being a blend and we anticipate two 8th grade teams. As in prior years, the 8th grade girls group will practice together but will be placed in separate teams for tournament play. If the number of players at any grade level dictates more or less teams, we will adjust our plans accordingly and will inform you of those changes at that time. For the boy's 2017-2018 winter season, CYB anticipates providing a similar program as in prior years for 3rd through 5th grades. In these grades, CYB will utilize parent coaches and will attempt to place players on balanced teams based on player's evaluations in the October tryouts. Each team will have a minimum of 8 players and a maximum of 10 players. Based on the numbers of players in prior years, we anticipate two 3rd, 4th, and 5th grade boy's teams. If the number of players at any grade level dictates more or less teams, we will adjust our plans accordingly and will inform you of those changes at that time. As the coaches for 3rd through 5th grade boy's teams are generally parents of players, coaching determinations for these grades will be made after our October tryouts when players are evaluated and placed on teams. For boys in 6th through 8th grade, CYB will be providing a slightly different program for the 2017-2018 winter season. In these grades, we have historically had a large number of players and have placed those players on teams of 10 based on player skill as evaluated in tryouts. To provide more playing time to our players and better manage our limited gym time resources, our plan this year is to form two groups of 16 players at each grade level from 6th to 8th grade. Placement in the two groups of 16 will be based on player skill as evaluated by CHS coaching staff in the October tryouts. Each group of 16 will have two paid, non-parent coaches. As the season progresses, coaches will break the groups of 16 into two 8 player teams for tournaments based on their discretion as coaches. We anticipate that the coaches may continue to adjust the 8 person teams throughout the season, but that will be at their discretion. However, regardless of what team a player is playing on in a specific tournament, we anticipate the 16 players as grouped in the tryouts will continue to practice together throughout the winter season. Projected coaches for the 6th through 8th grade boys teams are provided below. In the 2017-2018 Winter Classic Season, player fees will cover 6 tournaments for 3rd and 4th graders and 9 tournaments for 5th through 8thgraders. This is an increase from prior year when player fees provided for 5 tournaments for 3rd and 4th graders and 7 tournaments for 5th through 8th graders. The increase in tournaments is in response to parent feedback in prior years that additional, planned tournaments were preferred. The specific plan for what tournaments the various teams will be participating in will be provided at a later date. CYB will be cohosting the Winter Classic Tournament the weekend of January 13 and 14 with Rex Putnam as our primary fundraiser this season. We will need your support in helping to run concessions and collecting gym entrance fees throughout the weekend of that tournament. We are very excited about this opportunity and partnership with Rex Putnam Youth Basketball. Additional fundraisers may be held throughout the season including CYB dinner nights at area restaurants, so please stay tuned. Registration will open on our website by Saturday, 9/23. Again, if you have any questions, please reach out to us at any time at cybhoop@gmail.com.